Hello solution exist readers, WhatsApp is the most popular mobile messaging application nowadays on all mobile platforms, even on symbian. We are are using WhatsApp now it is now becomes more popular after the android phone market has increased. You might be thinking when we can use whatsapp in phone or whatsapp in smartphone then why we are making a tutorial on how to run whatsapp in pc. The reason behind posting this tutorial on how to run whatsapp in computer is sometimes it may happens that you you don’t have smartphone near you and you are in need to use whatsapp at that time this new whatsapp tricks on how to use whatsapp in pc will help you to open whatsapp in pc. Check out all WhatsApp Tricks Tips Hacks For Android & iPhone. 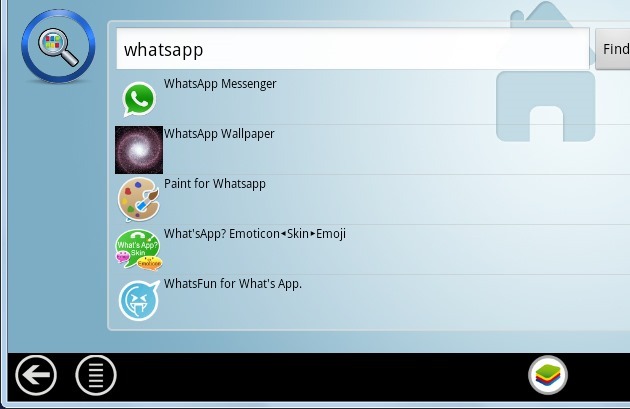 Solution Exist will teach you how to use whatsapp in PC. To use WhatsApp in PC we are going to use a software name bluestack. You can check various WhatsApp tricks like Text Formatting Feature In Whatsapp. You will surely like to check Send Black Message To Your Whatsapp Contacts. Now without wasting more time start reading the steps to use WhatsApp in laptop. BlueStacks, a free application for Windows that can run applications such as WhatsApp for Android on Windows and that too, providing user with a much better interface than android emulator. It can be used to download any application available on the Google Play Store. At the center of the application you can find a search bar. Type “WhatsApp” and click the Find button. Click on WhatsApp and wait for a while until the download is completed. It will be automatically installed after the completion of download. Now, open WhatsApp. Then , click on Agree and Continue button. Now, Just enter your Name and hit enter.Wait Wait..!! Now, we’ve got one final problem to deal with – Adding contacts. For adding new contacts, hit the menu button present in lower right corner and choose Contacts. Now, Just enter your Name and hit enter. Now Adding contacts is the last option to do. And your are done…!!! This was the tutorial on whatsapp for PC. We are done!! Enjoy Whatsapp on PC and let us know your views in the comment section. 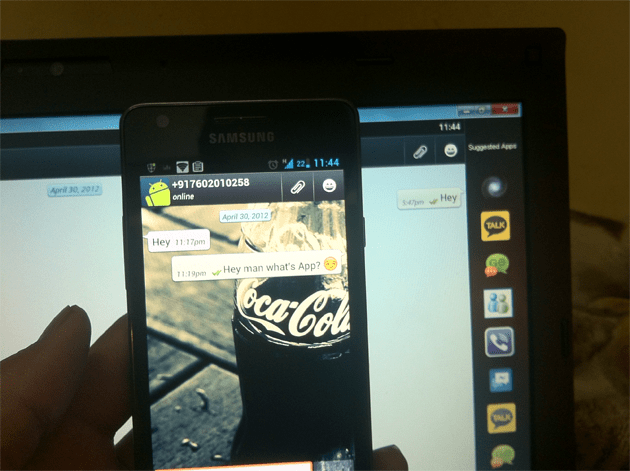 You can use this method to run whatsapp in computer and this will help to have whatsapp when you don’t have you mobile and you need whatsapp.You can also read tutorial on – How to use Multiple WhatsApp accounts on Computer. In mean time you can check How to Set Blank WhatsApp Status. Hope you like our work, share this with your friends to appreciate us and to make them aware of this method.